This 1932 book tells the story of a family through the eyes of various people within that family over a period of about twenty years, before, during and after the First World War. This is no experimental novel of different narrators or points of view; it is a straight narration of a family where nine children grow up, face the challenges of life, endure the War and some loss, and where that leaves them in a new world. This is not a book of war or tragedy; although a family with so many young people in 1914 suffer, there is much more to this book. This is a book of humour and the small things that make up family life, of women who want more, who make gestures of independence and protest. It is not a melodramatic saga, but a book of what feels like real life, by a writer skilled in pushing each character to the limit and not beyond. Catherine is married to David, a spiritually minded vicar who needs to occasionally be challenged on his touching but sometimes misguided assumptions about his family and their real feelings. When her first child is born, David brings Catherine a list of nine names from the biblical apocrypha, and unsurprisingly she is taken aback to think of having nine children, let alone in the exact order as specified. It comes to pass that “God blessed them with nine exactly” in the correct order and Catherine is determined that there will be no more. It is at Christmas that we first see the busy Vicarage full of children, each displaying the characteristics that will stay with them, as they comment on church life, death and Christmas presents. Catherine finds herself with a legacy which will allow her a holiday alone, then send the older sons to school and engage a governess for the girls. Miss Crosby is determined that each daughter will have the opportunity to develop her talents, even go to college. She also becomes so interested in women’s suffrage that she gets into trouble; another event that must be interpreted for David. Each of the children as they grow up shows their particular traits, as one loves gardening, another the family dog, and Esdras finds biblical quotes for all occasions. As war approaches assumptions are made about who will take part in which way, and the implications of those choices continue to affect who is left. The subject matter of the novel is not miserable, or over dramatic. The style is gently amusing, allowing the reader to fill in the gaps and grasp the implications of the written record. It is a carefully written book, generous to the characters, full of tiny details which make it a convincing story. It feels like a book of its time, but beautifully written and controlled. I really enjoyed reading this book, appreciated its subtle wit, and found that it carried me along with its fascinating story. This is a book to be savoured and a pleasure to read, and I was really pleased to find it in my local library in its Greyladies edition. I have been finishing off plenty of books over the last few days, so I ought to have something to post about! Cranford by Elizabeth Gaskell – A place of Women? Death in the Stars – A Kate Shackleton Mystery by Frances Brody. Murder and mystery onstage? Oh joy! 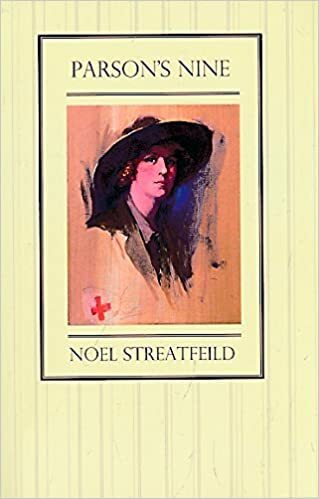 A Streatfeild I haven’t read. Thank you! I think her books for adults are being reprinted this June.MOTHERING SUNDAY/GRASS IN PICCADILLY AND AUNT CLARA. That sounds interesting. Any idea who is publishing them? I don’t have TBR pile. I have a TBR house full…sigh. I found this book in the library! This blog is a selection of interesting things I've come across during my history research. I have a wide interest in history ranging from Wars of the Roses, country houses, Stuarts, Georgians, Louis XIV, Napoleon and criminals. So expect to see a bit of everything on here.